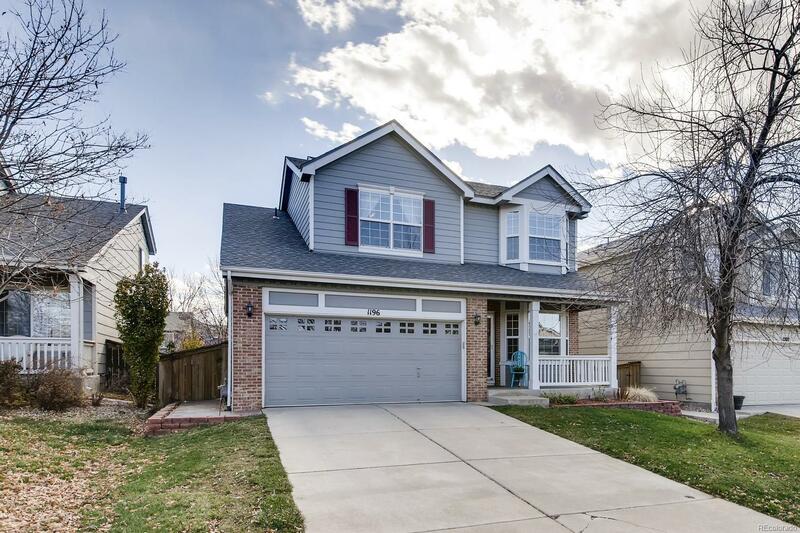 GREAT, well-maintained Westridge Knolls home with desirable floorplan! You'll love the spacious/updated eat-in kitchen with granite countertops, tile backsplash, 42" white cabinets & large pantry offering lots of storage space. Upon entry you'll notice gleaming hardwood floors & useful space that can be used as either a dining area or formal living room. The family room is large & windows offer lots of natural lighting throughout. Upstairs are four bedrooms, The large master has a private newly renovated master bath: quality cabinetry with soft-close doors and drawers and roll-out trays, quartz counters, double undermount sinks, supersized shower, contemporary ceramic tile...modern perfection! In the finished basement, there are two separate spaces that can be used for recreation area, office, playroom, workout room, guest space, or more! Fenced backyard with newer stamped concrete patio and sidewalk, garden area, and included playset to keep kiddos entertained. Rooftop Solar Panels!